The heavy snowfall there last week has set up some great conditions with most areas reporting a 90-150cm (3-5 foot) base. The other ski centres to choose from include Dachstein, Hintertux, Molltal, Kitzsteinhorn (Kaprun), Pitztal, Solden, Stubai, Tux). In Switzerland the latest ski area to open is Glacier 3000 above les Diablerets near Gstaad. Currently the Dôme ski lift and the snow park are open where there are several lines of a different level with tables, rails as well as boxes ready for use. The area joins the Engelberg, Saas Fee and Zermatt glaciers which are all already open. Exciting news from Italy too as Bormio has announced it will open early from this weekend, Halloween, too and the country has reported some of the best new snow this week, Livigno, not yet open, noting more than 30cm of fresh snow accumulated. 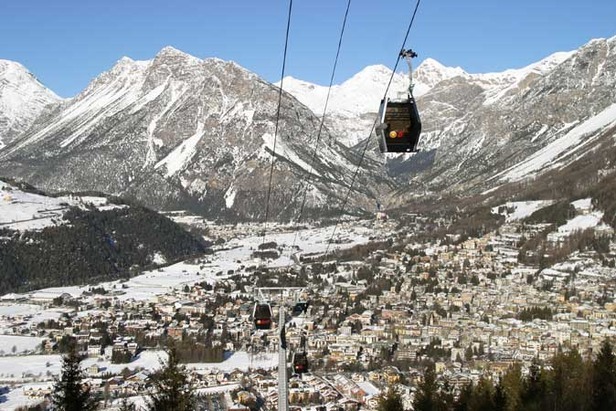 Bormio will run a cable car and a high speed chair serving 18km of slopes between 2,500m and 3,000m altitude. It joins Cervinia (20cm) which will now be open daily after weekend opening through October, and still open summer ski areas Passo Stelvio and Val Senales.